Professional cleaning company Molly Maid has added 30 Skoda Fabias to its 370-strong fleet, and plans to increase the number further by replacing existing Nissan, Toyota and Vauxhall vehicles. With a highly competitive BIK rate, low p11d value and competitive lease prices, the Fabia is a good value alternative to cars like the Hyundai i20 and Vauxhall Corsa. It was the Fabia’s 330-litre boot that won over the cleaning firm though – it’s perfectly suited to the task of carrying bulky cleaning equipment. 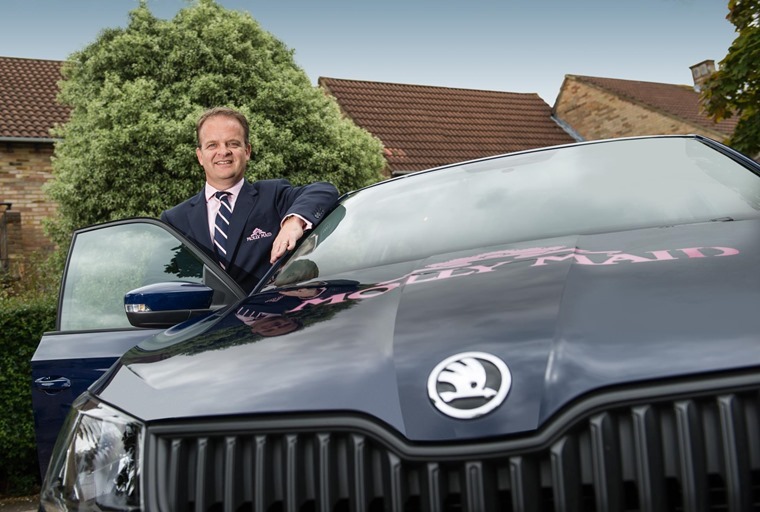 Jonathan Holden, COO of Molly Maid said: ‘The ŠKODA Fabia fitted the bill completely for us, right down to the fundamentals of cost - not just for the business but our drivers - practicality and overall design. The latest Fabia is available in a range of four trim levels, all of which come well-equipped with a touchscreen infotainment system, while its boot and passenger space are both above average for its class. Holden also said that Skoda offers a fleet service that previous manufacturers couldn’t.